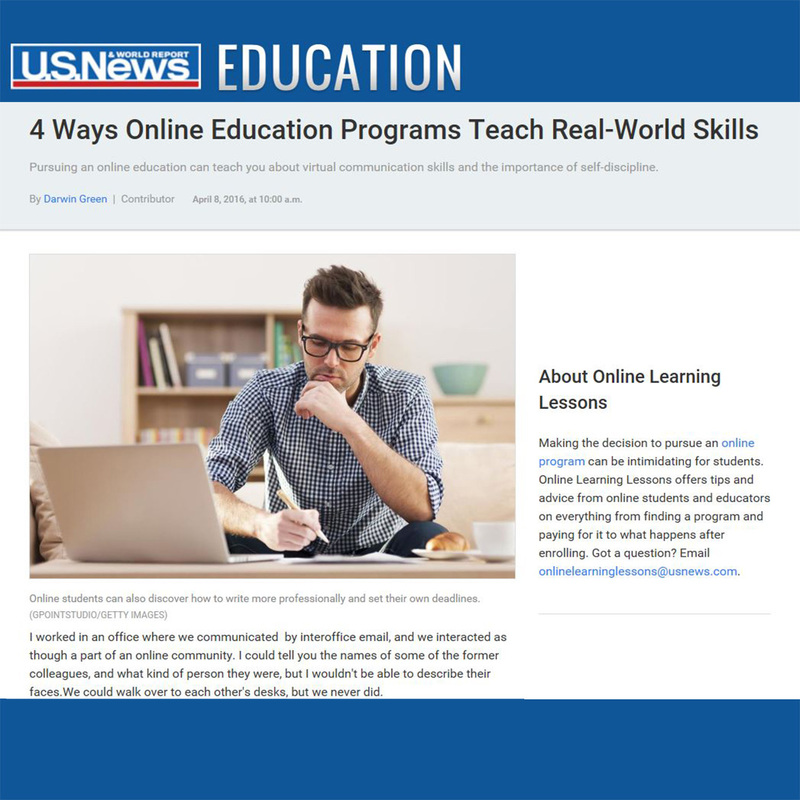 This online story by U.S. News & World Report contributor Darwin Green shows us how online education can teach real-world skills. 1. Sometimes you will never meet your coworkers in person. 2, Online programs rely on self-discipline. 3. You learn to make deadlines on your own. 4. Online schools familiarize students with technology. Green says the takeaway is online schools teach work ethic and prepare students for the real-world, which is increasingly becoming an online world. You can start your online education and learn those real-world skills at Rio Salado College! Rio Salado is one of the largest online public community colleges in the nation, offering 600+ online classes, 100+ degree and certificate programs and general education courses.